Pinellas Park is positioned just east of Seminole between St.Petersburg and Clearwater and is only fifteen minutes from USF-St.Petersburg and approximately forty minutes away from USF-Tampa. It is also not far from where the professional sports team of Tampa play, miles of gorgeous beaches and plenty of dining and shopping options. The area also has a lot of options when it comes to housing. This is why the demand of professional property management in Pinellas Park FL has been increasing day by day. Simply Property Management has been assisting home owners and landlords make the most of their rental property for more than twenty years. We make sure that their investment property is handled competently by capable property managers, maximizing their ROI. If you own a property or are planning to buy investment properties in Pinellas Park FL, you need our experience and expertise to work for you. Being a reputed residential property management service in this area we specialize in working with investors that owns condos, single family homes, town homes, duplexes and large apartment buildings. If the stress of property management is making you feel fazed, then let us give you the peace of mind that you deserve as a landlord. Let us handle the expensive advertising, extensive background checks, bad tenants, time taking repair & maintenance jobs and even complicated eviction proves for you. Call us now to take advantage of our simplified yet result driven property management in Pinellas Park FL. 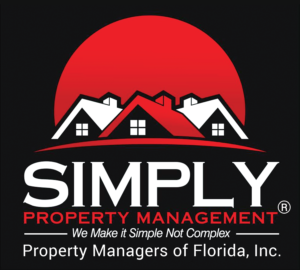 Whether your Pinellas Park property was purchased as a homestead or as an investment, Simply Property Management offers unmatched services to make the most of your investment. We are very competitive when it comes to our fees and no fees are asked until we get you qualified renter to occupy your vacant property. Our management team has broad training, top-level experience and knowledge, and has emerged as a leader of property management in Pinellas Park FL. All of our property managers are licensed and are supported by our competent customer care team that is always at your service. You can always trust our vast experience, extensive marketing approach, passionate full-time support personnel and expert property managers to enjoy the true peace of mind with your investment properties. It doesn’t take much time to see a diminishing return from your rental properties if they are not managed properly. At Simply Property Management, we effectively supervise & coordinate all repairs, maintenance and communications to keep both owners and tenants happy. Call us now if you think we can lend you a helping hand with your property management in Pinellas Park FL.